Just because your budget is tight doesn’t mean you can’t do some GREAT dating! The common cliché is that a date consists of dinner and a movie….and a wad of cash. Well, we haven’t had a wad of cash most of our married life and I can honestly say, as nice as it is to go to a nice restaurant occasionally and see a new release, there ARE other options! When I get stuck in the rut of lame or no dating, I have to remind myself WHY I date my spouse. Time with your kids is wonderful (and happens 24/7). Time with extended family can be wonderful too. Time alone with your spouse just trumps all else! Whether we are just going for a drive, taking a walk, snuggling on the couch to watch a movie, or doing some much-needed grocery shopping (WITHOUT KIDS! YAY!) the purpose is the same…to connect and maintain a loving relationship with the person I chose to spend forever with! 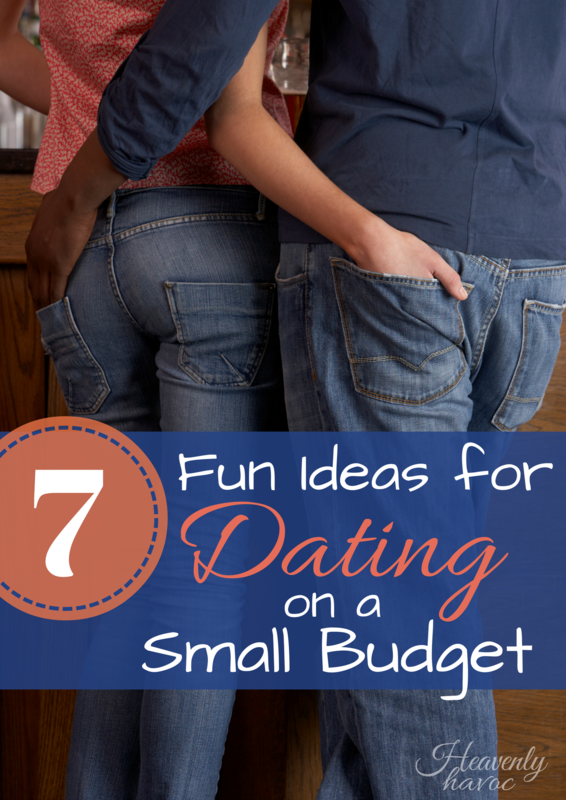 Here are some fun ideas for dating on a small budget. 1. Surprise your spouse! When we haven’t done anything special in a while, I like to surprise my spouse. You could show up at their work with sack lunches and chat during their lunch break. I did this more when we were newly married and didn’t have small children. Now that my oldest can babysit, I might need to make a surprise visit again! 🙂 I absolutely love these ideas from Double the Batch for surprising your spouse! 4. Crazy Service. Think of someone close by who is having a rough time and do something crazy and unexpected to make their day. This is especially great if you feel like your own relationship is feeling a little ‘on edge.’ Somehow, helping someone else makes your own problems seem a lot smaller. 7. Serve your spouse. I can’t tell you how awesome this can be. My husband just has a way of knowing when I have nothing left to give emotionally and I’m on the brink of total exhaustion. He’ll do the dishes after dinner or throw in some laundry for me or put the kids to bed. Last night I could tell he was exhausted. There was a game on but our tv wasn’t hooked up to an antenna because we usually just watch Netflix. I figured out how to get it hooked up and brought him a cold drink while he just chilled. Sometimes we just need to sacrifice our own wants to let our spouse know how much we care. Service needs no budget. What are some fun and creative ways you have found to date the love of your life?